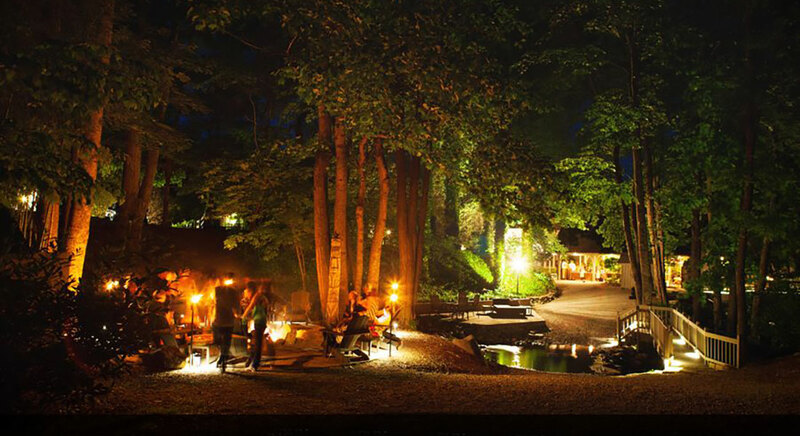 The Fire Pit is a popular gathering place for nighttime storytelling and perfect fireside s’mores. Located across the bridge over Phillips Creek and only a short walk from the main house, this custom designed 30-foot-wide sandstone deck with an 8-foot-wide sunken fire pit is surrounded on two sides by Phillips Creek and an amazing bamboo garden. At the edge of the deck is Master Spirit, a 12-foot-tall totem pole created by a local Indian and featuring carvings of animal faces, standing guard and seemingly encouraging guests to let their guard down around their family and friends. 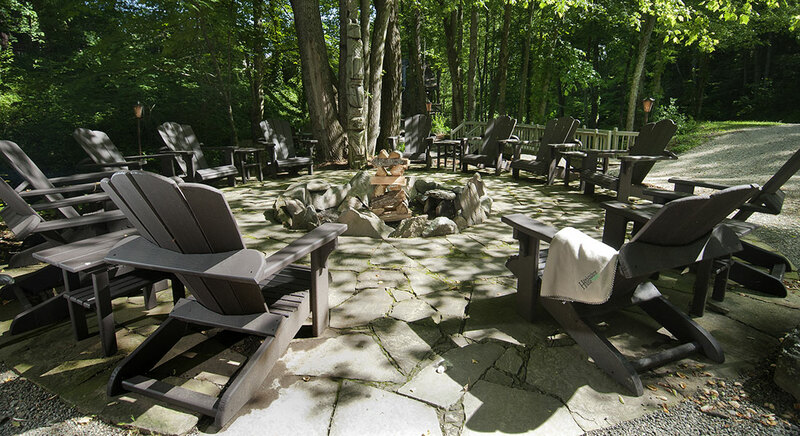 The fire pit includes Adirondack chairs custom built for Hawkesdene by a local furniture maker, side tables, a wood shed stocked with blankets, 48” skewers for s’mores, fire starter, fire pokers and plenty of split wood. Entire Hawkesdene estate rental is required year round. Please contact Hawkesdene at 800-447-9549 or by email for more information on a Hawkesdene event. We have accommodations for 90 people on site, and will be happy to help you with referrals for additional lodging in the area.